Well, she needed to be packaged up & posted to the USA. But how do I package her? 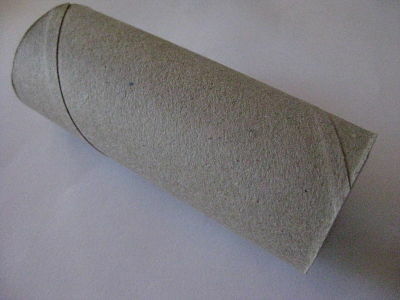 Solution.. make a parcel tube from a paper tube (from the kitchen paper towels). 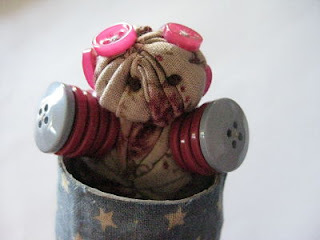 First, cut to length, with an extra 2-3cm longer than the doll (for folding the ends). Pre-fold the ends, scoring if possible & then straighten back out. 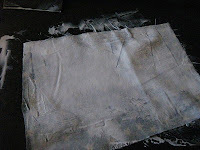 Lay onto fabric, cut to length. 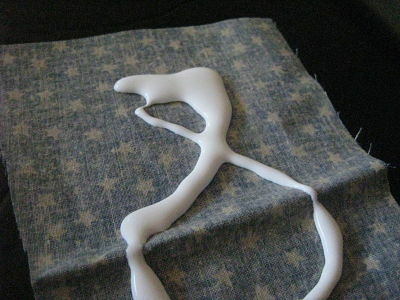 Then squirt glue over the fabric. 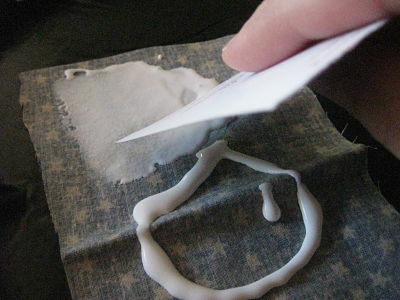 Using a piece of cardboard as a squidgy, spread glue over fabric. 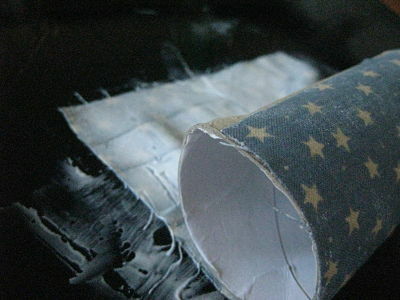 Line up & roll the tube over the fabric. 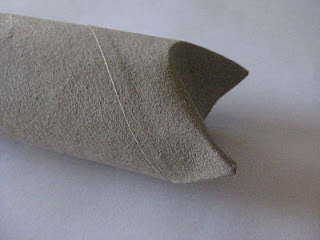 Pressing the fabric seam with a little extra glue on your fingers! Before it dries, press the ends close, along the fold lines that you had created prior. 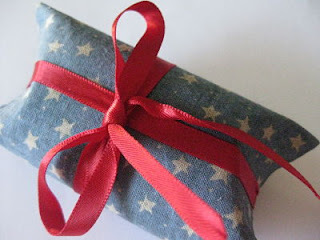 Insert item & wrap with a pretty ribbon and voila! oh wow! what a great idea! What a wonderful idea for packaging - best start saving those toilet rolls. what a great way to make a pretty package, and recycling is great too!! mona is very cute! great idea on the packaging. 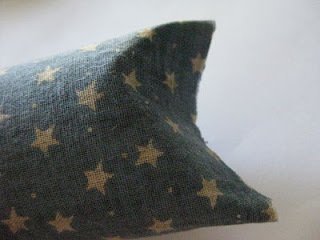 Lovely packaging..I like your sure-to-please touch of star fabric witht the red ribbon too. You are not too late for my pay-it-forward. Please email me your address and then I'll know where to send it when I get it made. If you have any particular colour likes or dislikes please let me know too..thanks! That is very clever and looks great. I will have to remember the idea. Thanks for visiting me too. It is always nice to get comments! and what a great package. Very clever packaging! You are right sometimes it is a bit challenging sending creations in the post :) Well done! You really are crafty Rie! looks great..but how do you post it...do you put in another standard size cover?